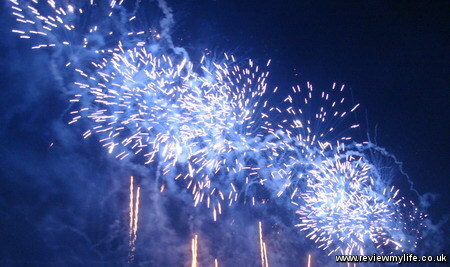 On Tuesday 26th July 2011 I went to see the summer fireworks display at Shibamata, north east of central Tokyo. From the station I had to walk through a traditional street before getting to the park where the fireworks were to take place. I made it to the park by the river just before the fireworks started. 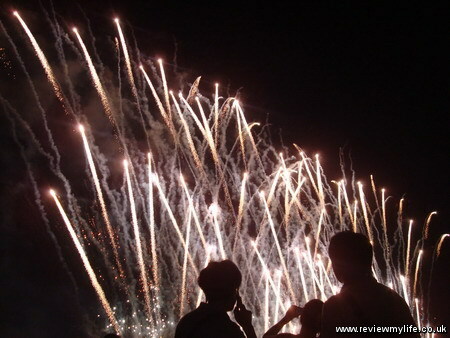 The fireworks were very impressive – they went on for about 40 minutes, and the promotional material said that they were going to us 7000 fireworks. That works out at nearly three fireworks per second! 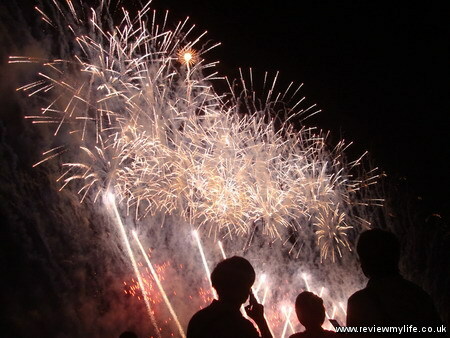 This display was even more impressive than the Yokosuka New Year’s Eve fireworks display that I saw at the start of the year. Here are some of my photos from the event. 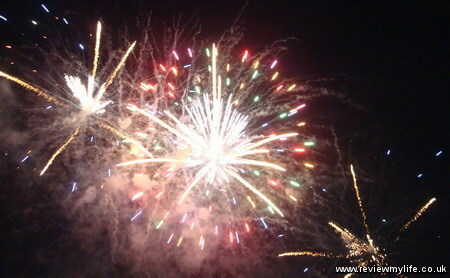 I took about 200 photos using my cheap handheld camera. Many of the photos were blurry, but when you take that many, you are bound to get some good ones. 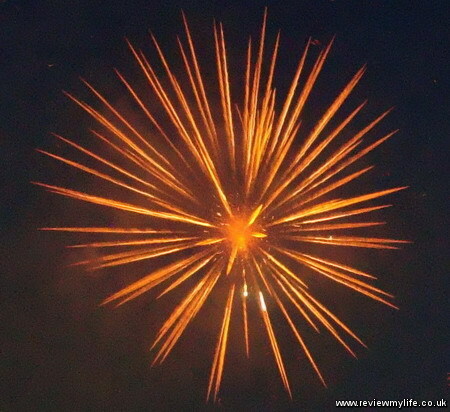 The above firework explosion reminds me of those images that they get from particle accelerators when two atoms smash into each other. 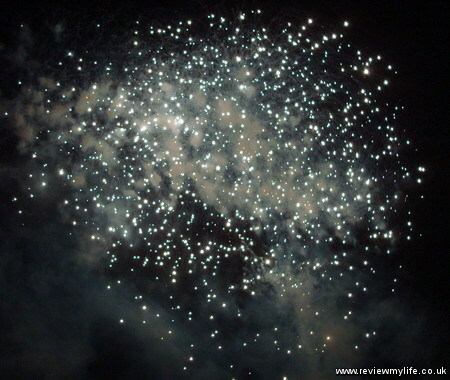 The below sparks looks like stars in the night sky, but it is the final parts of a firework fading away. 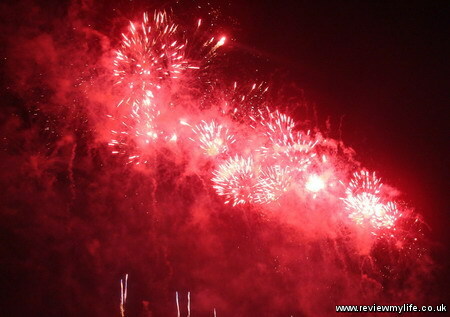 They had some very intensely coloured fireworks. Here are blues and reds. 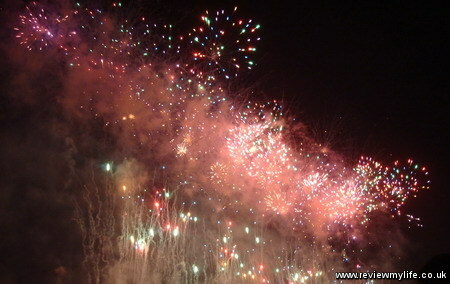 And a load of multi-coloured fireworks all exploding at the same time. A lot of people try to frame their fireworks photos so that they don’t get the spectators in the shot – but I like the look of the sillouettes they make against the bright lights. On the bottom right someone is taking a photo using their mobile phone. 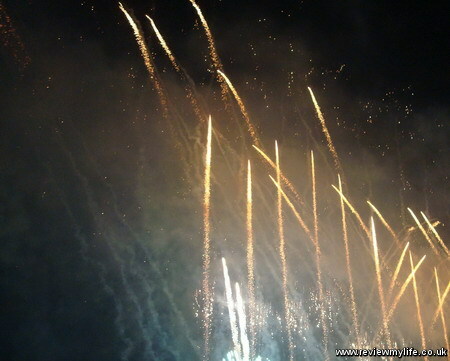 These fireworks left bright streaks across the sky. In these final two you can see someone speaking on the phone whilst the display takes place. 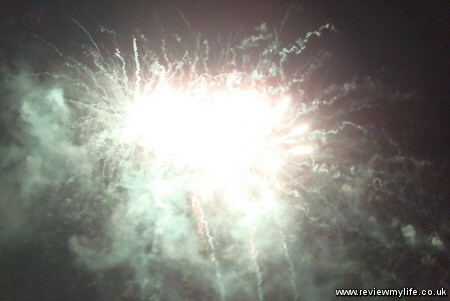 Though with the noise of the music and the explosions I don’t know how any audible exchange could take place! The display was completely free (if you didn’t want a designated seating position) and professionally organised so if you didn’t get to see it this year, I can recommend it for 2012. This entry was posted on Wednesday, August 24th, 2011 at 3:08 pm and is filed under Japan. You can follow any responses to this entry through the RSS 2.0 feed. You can leave a response, or trackback from your own site. Great pictures! 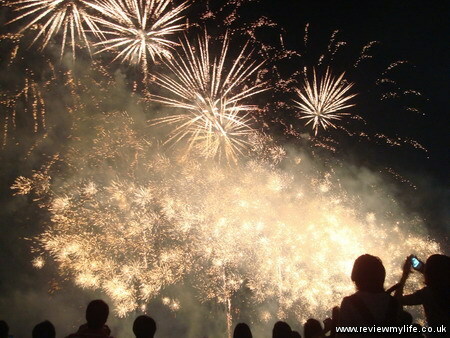 I really miss the summer fireworks in Japan. 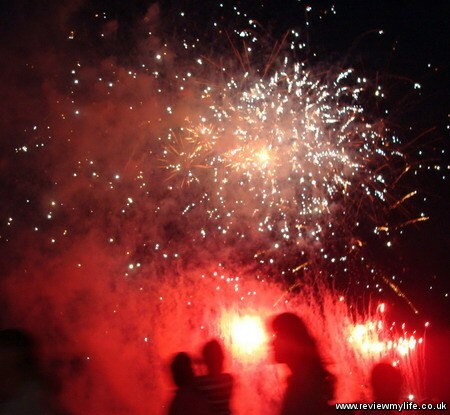 More than the fireworks show itself, it was the atmosphere that made the event memorable.